The son of a Tyneside fisherman now cooks the food served in the most beautiful dining room in London. Since June, 2004, John Williams has been the Executive Chef at The Ritz. Before I continue, let me declare an interest. I love The Ritz. For forty years, on and off, I have been lounging about its gilded salons. I have tutted at its lows and purred at its highs. Since it passed into the ownership of the Barclay brothers in 1995, it has undergone a renaissance. It is now, without doubt, the finest hotel in Britain’s capital and it is – in terms of the décor, the service and the sartorial elegance of the staff – certainly one of the best hotels in the world. And I am very pleased that John Williams is in charge of its kitchens. I went to see him in his basement office, the small glass-sided cabinet from which he commands his 50-strong kitchen brigade. The Tyneside accent is still there – despite his long years in London (the last nine as Maitre Chef des Cuisines at Claridge’s Hotel). As a boy, he was taught to cook by his mother. Now he is proud to be, first and foremost, an hotel chef – a chef driven by his customers, rather than a chef who bends the customers to his will. He expresses a love for the Ritz’s traditions. And he is not afraid to condemn the fad for combining the cooking of different cultures. With the Northerner’s ear for a blunt and telling phrase, he calls it “Not Fusion, but Confusion”. I nearly leapt from my seat to propose three cheers. 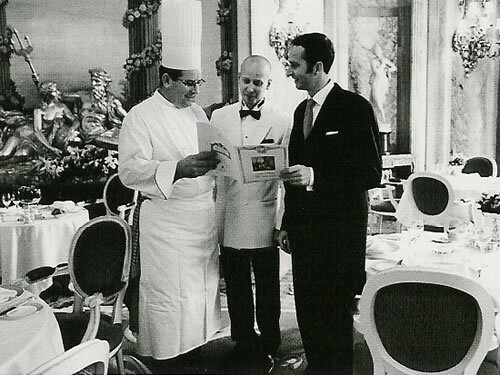 He is clear that he will not lose sight of what The Ritz is all about, and has determined, with his ‘cuisine of the palace’, to achieve recognition for its dining room as the best to be found in any of London’s hotels. His method is both simple and effective: to use ingredients of the highest quality, to use them at their seasonal peak, to concentrate on classic French cuisine (but with lighter saucing) and to continue to offer traditional British dishes (like Lancashire hot pot) on the daily menu. Those of us who have lamented the transformation of so many of our beloved hotel dining rooms into trendy feeding stations for noisy people will applaud Mr Williams for this intelligent approach. Combine it with the exquisite surroundings and the fact that The Ritz is now unique in London in keeping its waiters in tails, and it is small wonder that the popularity of the Ritz Restaurant is increasing day by day. Mr Williams does not smoke. Good. There are far too many chefs whose palates (particularly with regard to the discernment of salt) are distorted by the loathsome weed. And, as Chairman of the Academy of Culinary Arts in Great Britain, he takes a keen interest in the education and training of young chefs. Let us hope that he can influence them not only to steer clear of tobacco, but also to adopt his common sense attitude to the practice of their skills. By now you might be suspecting that, when I met Mr Williams, there was a meeting of minds. If so, you are correct. I went up to the dining room full of anticipation. 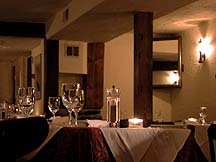 Simon Girling, the Restaurant Manager, met me at the door. He is a most pleasant fellow, and one manifestation of his pleasantness is that he always remembers that I like a corner table. (From here I can survey the whole chamber, and marvel at its 1906 version of a Louis XVI banqueting hall.) Mr Girling has some impressive colleagues. On this visit I was looked after with the utmost courtesy and charm by Chef Sommelier Lucio Donato and by Assistant Restaurant Manager Stuart Geddes – the latter a tall Antipodean of film-star looks and smiling unflappability. My meal was tremendously enjoyable. Chef Williams deserves high praise for restoring to the menu one of my favourite dishes. So I began with it: Omelette Marie Antoinette. This is a mushroom omelette, topped with slices of black truffle and served with a truffle sauce. From a silver boat I extracted extra spoonfuls of truffle oil. 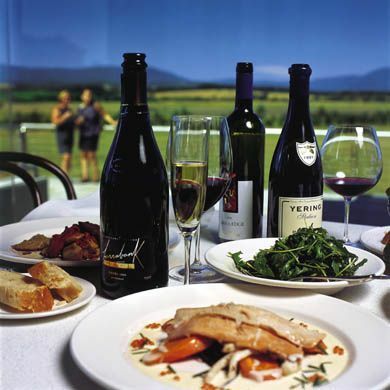 Delicious – particularly when accompanied by a big, bold Australian chardonnay (Rosemount Show Reserve, Hunter Valley, 2001 - £50). For my fish, I chose roasted sea bass Niçoise (a dish from the five course set dinner) – tasty and firmly textured. I left a happy man. I had enjoyed a handsome dinner. And I had been convinced that the kitchens at my favourite London hotel were in good hands. Welcome, Chef John Williams. Those of us who love The Ritz salute you. 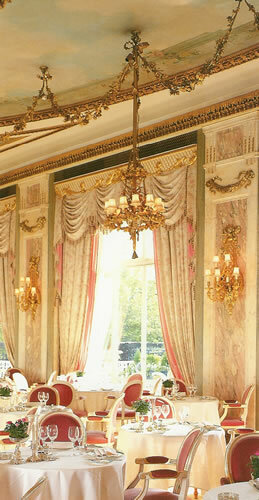 The Ritz, 150 Piccadilly, London W1V 9DG, England.